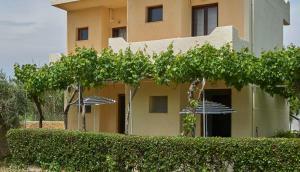 Kindness and immediacy of the hosts, two terraces, a solid view towards the sea, easy access for both cars and people. The host was friendly caring and we were well looked after. The garden around the apartment is super nice. We had 2 balconies with different views. The beach is close. Center is 10 minutes walking distance. AirCon worked well. 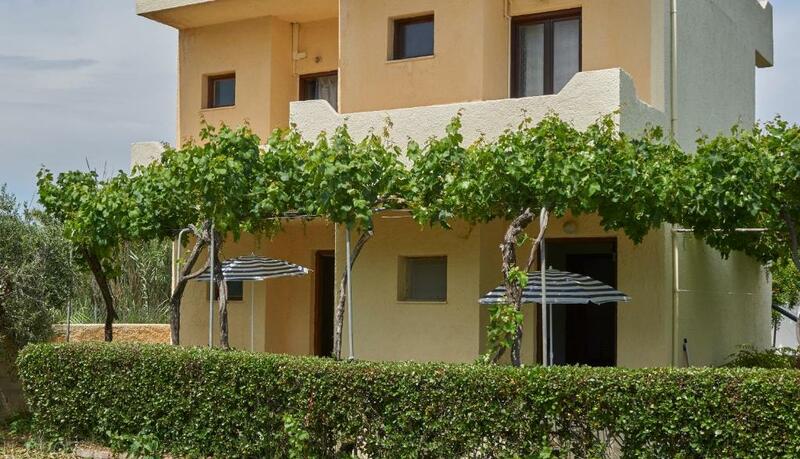 Beautiful apartment in very peaceful setting and very close to the beach. Dimitra greeted us with cold water and ice cream on our arrival which was very nice after walking with backpacks on in the midday sun. She recommended a very nice restaurant also. I would recommend these apartments. Double balcony (sea and Mountain view), good and quiete Position but next to the city (Less than 1km). 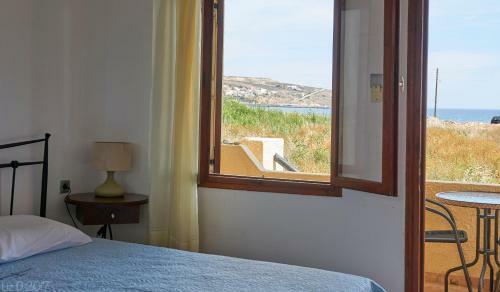 Perfect calm location with the beach 100 meters away, and a short walk of 5 minutes to the city. Room with sea view. Balcony on both side of the flat, one overlooking the beautiful garden. The host, Dimitra was very kind and helpful. The location is very convenient. 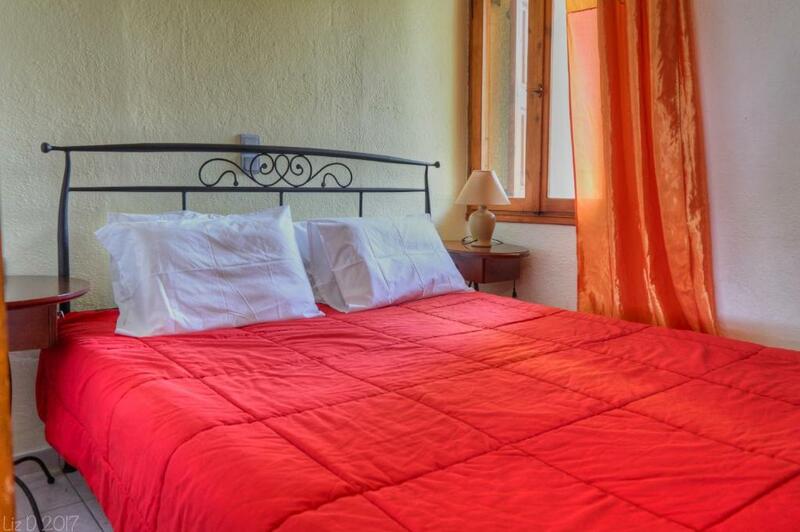 1 min from the beach and 5-10 minutes from cafes and taverns. The room is clean and for what you pay is ok. Location, near the beach and 10 minutes walk to town. The owner Dimitra is very kind and helpful. Lovely welcome from Dimitra the owner. She is a friendly and hospitable lady. Good sized terraces on our 1st floor corner studio for sun or shade. We stayed in the older original block. Dimitra showed me the studios and apartments in the new block, which are more modern, especially the larger apartment, which I think I would stay in the next time. But would happily return here again. 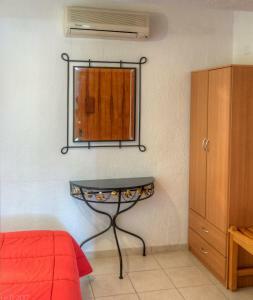 Very clean and comfortable room with small kitchen, had even hairdryer and iron. From balcony opens up a beautifull view to green inner garden with banana trees, grapes and colorful flowers. There is 1min walk to Petras beach and 10min walk through numerius restaurants to SITIA center. So its great and peacefill place for late evening swim before sleep. 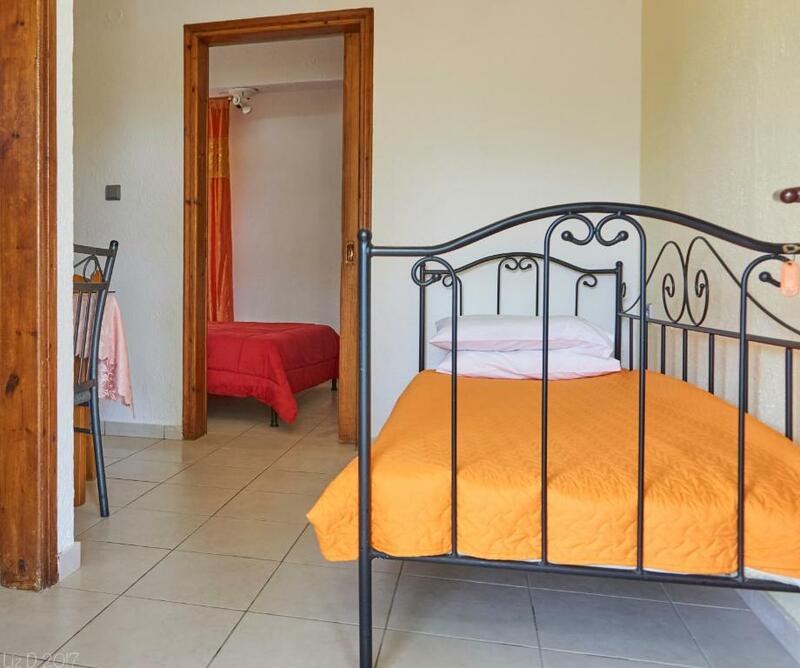 Lock in a great price for Dimitra Apartments – rated 8.4 by recent guests! Set among palm trees Dimitra Apartments is just 250 feet from the Blue-Flag beach of Siteia in Crete. 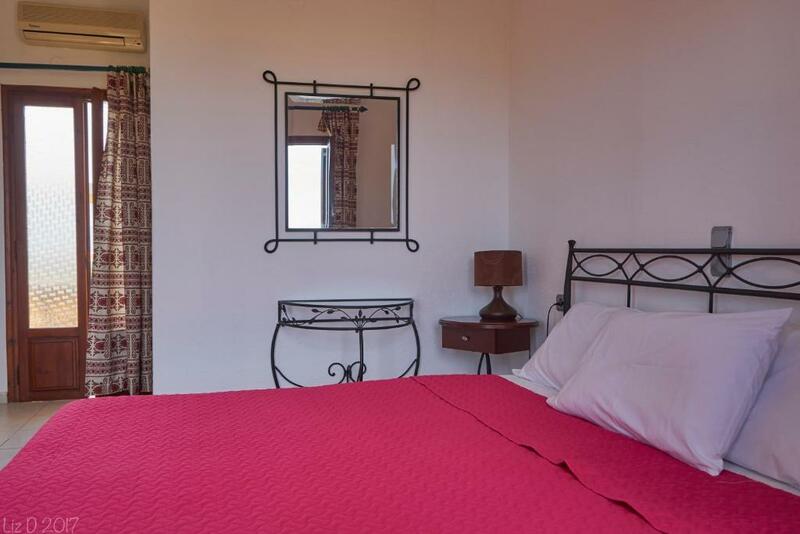 It offers self-catered rooms with free Wi-Fi and furnished balconies overlooking the gardens and the Cretan Sea. The air-conditioned rooms at the Dimitra have a kitchenette with cooking hobs, fridge and electric kettle. A dining area is included. 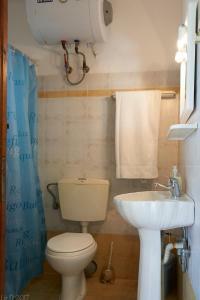 Each unit is equipped with a private bathroom with shower. The area of Siteia is ideal for swimming, cycling, windsurfing and snorkeling. The center of Siteia with restaurants serving traditional Cretan food, is 2,650 feet away. The famous Vai Beach is 15 mi away and Kouremenos Beach is at 12 mi. Free private parking is available at the property. 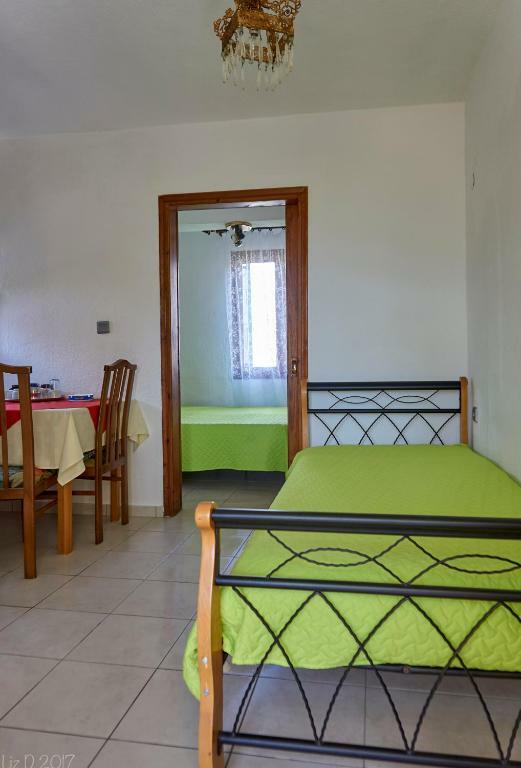 When would you like to stay at Dimitra Apartments? 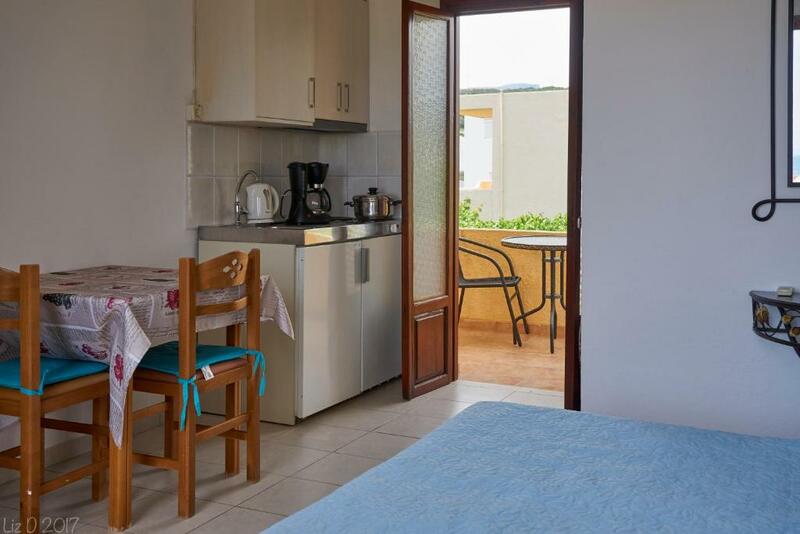 Just 230 feet from the beach, this air-conditioned studio opens to a furnished balcony overlooking the gardens and the Cretan Sea. 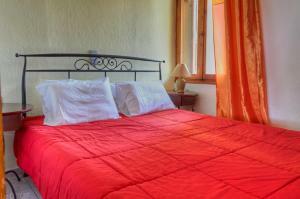 It features a well-equipped kitchenette and free Wi-Fi. Ground floor apartment with kitchenette and dining area. Features free Wi-Fi. This apartment has a kitchenware, balcony and air conditioning. House Rules Dimitra Apartments takes special requests – add in the next step! Dimitra Apartments accepts these cards and reserves the right to temporarily hold an amount prior to arrival. Please inform Dimitra Apartments of your expected arrival time in advance. You can use the Special Requests box when booking, or contact the property directly using the contact details in your confirmation. The cleanliness of the terrace, and the obligatory towel for drying peaches from the beach not to put on the chairs. When we arrived in the late afternoon and got our keys, the apartment was not really clean, the floor was super wet from the fridge leaking. The owners excuse was that the last guests checked out late and she didn’t have time to clean. That’s not acceptable. There is kind of a kitchenette, but very basic and not clean, only 1 spoon and 2 plates, we prepared our food at the beach instead of in the kitchen. Bathroom is small, not great but ok. TV was missing. It can always happen that you are the one and only guest with problems and everyone else loved the place, but for 60€ per night we expected more! Old Windows and Doors. Bad smells in bathroom (Old pipes). The hostess was very friendly. The balcony was overlooking the sea,very nice view! Was all ok. Some mosquito netting on the window would be an advantage. Nothing that we noticed, it was lovely stay. Exceptionally helpful and friendly landlady, super efficient WiFi. Shower probably too simple, but works. Hospitality of the owner, home made cakes from time to time, mousaka for dinner!